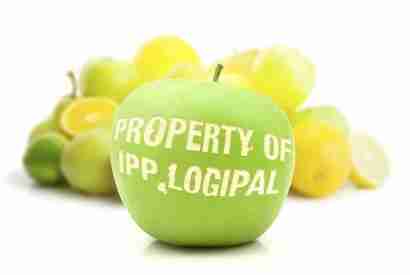 Leading one-way trip pallet specialist, IPP Logipal is further increasing its high profile and strong reputation in the fresh produce sector after securing a new contract to supply Chingford Fruit, part of the AG Thames Group. AG Thames’ subsidiary companies Grapes Direct and British and Brazilian have benefited from IPP Logipal’s focus on service, value and simplicity for some time and it was this experience that convinced Chingford Fruit to switch to IPP Logipal’s Trade Direct pallet rental solution. A private family group established in the early 1970s, AG Thames has maintained steady organic growth and targeted acquisition to achieve its current status as a major supplier for blue chip UK retailers, food service and wholesale markets of globally sourced fruit. Chingford Fruit is a worldwide fresh produce business, responsible for importing and distributing over 11 million crates of fruit per year. As part of the deal, from its strategically located regional distribution centre in Crayford, Kent – established to support the company’s expanding produce sector customer base in the area – IPP Logipal makes regular deliveries to Chingford’s depot. Eliminating one transport leg and also handling at depots, IPP Logipal’s Trade Direct pallet solution plays its part in reducing the environmental impact of the grocery supply chain. An AG Thames, spokesperson, commented: “We have been impressed by IPP Logipal’s service and high reputation in the fresh produce sector as two of our produce companies already used their service. “IPP Logipal’s specialist team provided us with a competitive and flexible solution to work with and a service that more than exceeds our expectations. I’m glad to see more companies are taking the route of using pallet pooling companies to transport their goods. It not only makes more financial sense for them to not try and run their own pallet fleet, but it also helps the environment by not having to over produce pallets for every company.